We’ve got to be honest: as great as Kentucky is, it is not without its shady history. Cringe-inducing (and straight up weird) tales and abandoned landmarks appear to fill the Bluegrass State. Seriously, we’re talking weird. Like a half-man, half-goat creature (who used to be a farmer, naturally) that supposedly hangs out on an abandoned train trestle... and not because he missed his train. So, if you’re brave enough to take a ride (and hopefully a flashlight) to some of the weirdest places imaginable in and around Louisville, by all means, go ahead and do so. We can’t wait to hear what happened. You know, if you make it out alive. 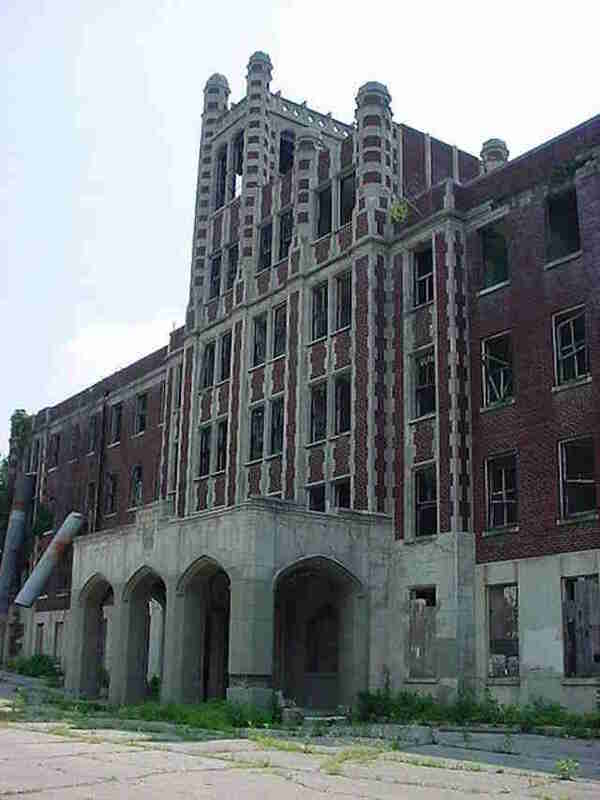 Arguably one of the most haunted spots in Louisville, Waverly Hills Sanitorium first opened in 1910 as a hospital meant to accommodate 40 or 50 tuberculosis patients. However, a TB outbreak in the following years prompted the construction of additional hospital buildings -- some of which are still standing today. The sanatorium was closed in 1962, after nearly 9,000 people had died within its walls. 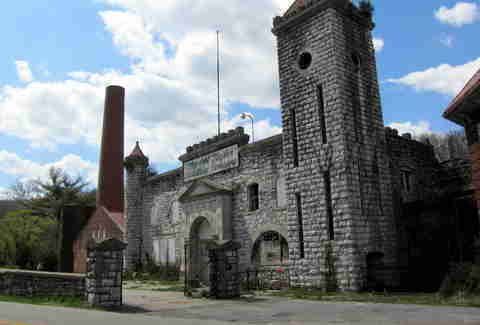 It then sat empty for decades until being purchased and turned into a facility for ghost tours. 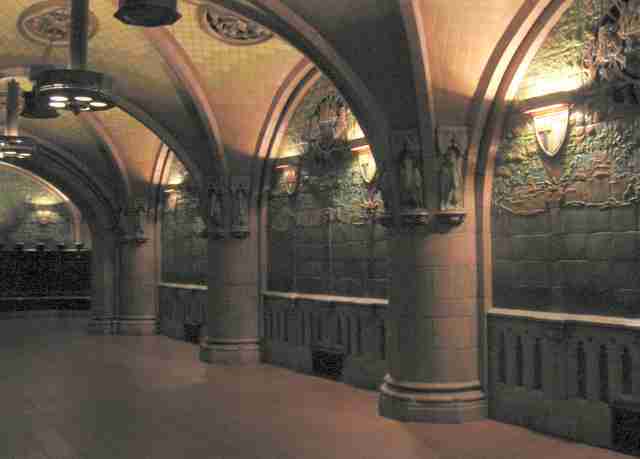 Of course, there are still some spooky, unrefurbished corridors that are closed to public. This Romanesque-style mansion was built for a prominent coffee merchant named Samuel Ouerbacker in the late 19th century. It changed hands a number of times over the years but was eventually repossessed by the city in 2005. In 2014, the property was sold for $1 to Oracle Design with the hopes of restoring the mansion and turning it into apartments. While not in Louisville, this abandoned distillery has some newfound Louisville ties. Built in the late 1800s, Old Taylor Distillery -- complete with turrets, gardens and pools -- didn’t look like other distilleries of its time. 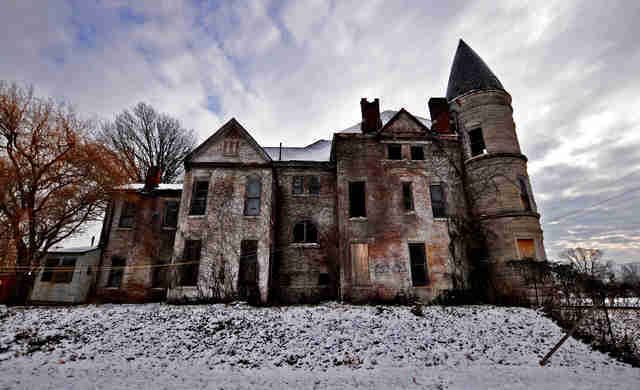 Because of its abandonment in 1972, and the ensuing decades of neglect, vandalism, and decay, the property was looking pretty rough. Enter Louisville distiller Marianne Barnes who, alongside a team of developers, hoped to restore the property to its former glory. 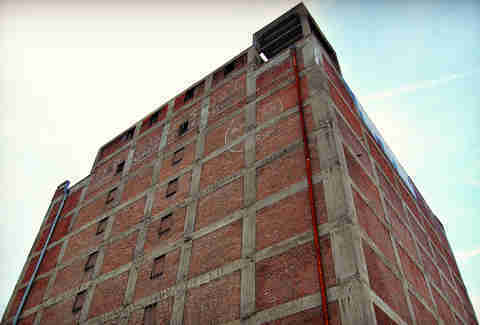 Standing 13-stories tall, this former cold storage and ice production building towers over the Smoketown neighborhood. Developers have expressed an interest in turning it into apartment buildings. As of now, however, the tower is just a crumbling eyesore that occasionally loses a few bricks. Go hunting for one of Louisville’s most famous urban legends at this location -- the Pope Lick Goatman... who is obviously part-goat, part-man. There are numerous theories as to how exactly the monster came to be: some say he is a circus freak who vowed revenge for being mistreated, others say he is a bizarre reincarnation of a farmer who sacrificed goats for Satanic powers. 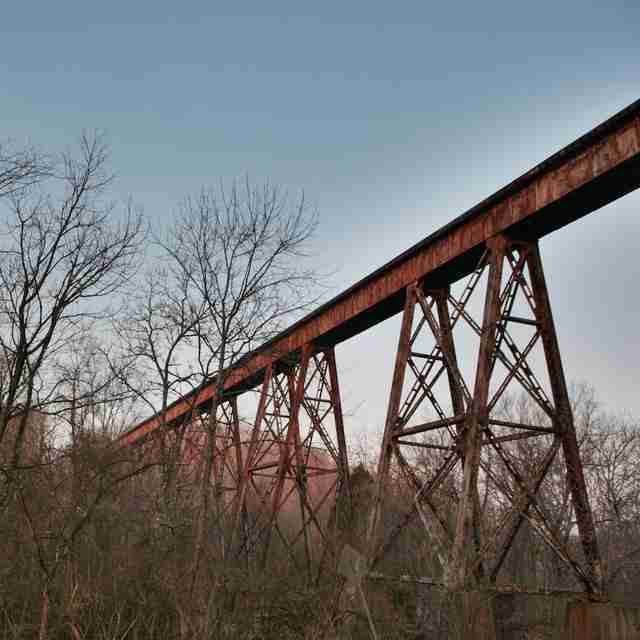 According to legend, he lures visitors onto this (mostly) abandoned train trestle. However, a few trains still occasionally rattle over the rickety tracks, and that’s how his victims meet their demise. Explore at your own risk. 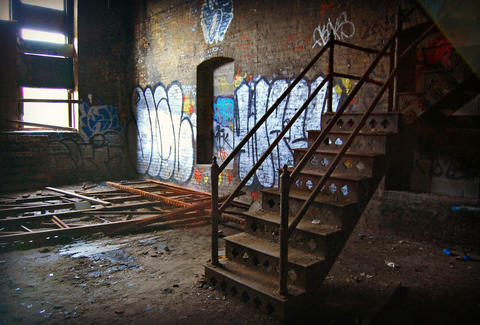 For years, rumors have circulated about a web of tunnels beneath the city that were used during Prohibition. Some of these are well-known, like the ones that have been boarded beneath the Seelbach Hotel (where Al Capone would occasionally play poker), while others are still somewhat of a mystery, like the freight subway tunnels that ran under the city before WWII. 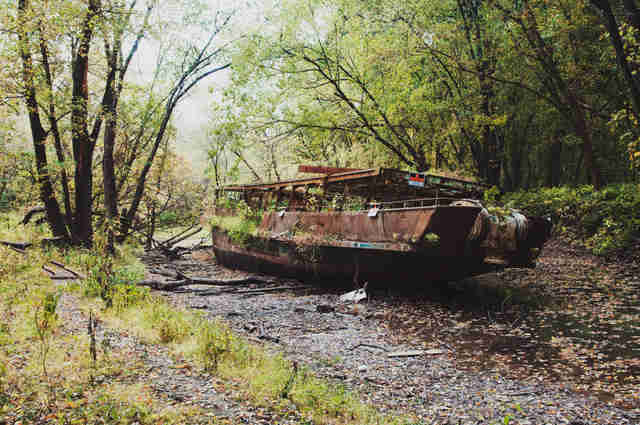 This eerie relic is definitely worth the road trip out of Louisville. First launched in 1902 as a luxury yacht, the “Ghost Ship” is a popular site for paddlers and geocachers to explore.